2019 is making itself known in one of the greatest ways possible–adaptions. Now I am a lover and a hater of book to film adaptations, because more often than not the book is always better. However, there have always been a select few that have surpassed the bar of their originator and brought more depth and emotion through the lens rather than through the words. 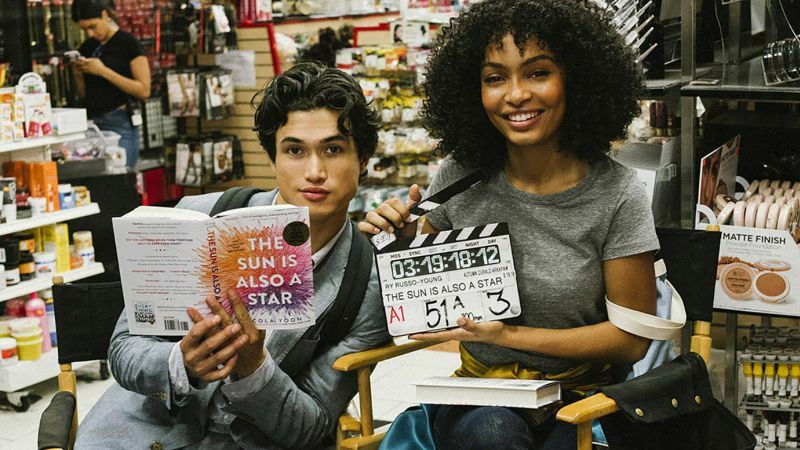 With a little over 50 different adaptions announced for both TV and Film, I am super stocked for what 2019 has to offer the bookish community and the fans of these beloved books. As usual, grab some popcorn, get a notepad out, and a take a look at a few of the book to film adaptations that I am stupid excited to see! What Book-to-Movie Adaptions are you excited for? Let me know! YAS! I literally did a happy dance in my chair when it was announced! These all look so good! 😀 I’m especially excited for Five Feet Apart and The Sun Is Also A Star! *sits around awkwardly* Well you see… I don’t even keep track with book to movie adaptations because 95% of the time I forget them or watch them 20 years later, rip. I’m curious about The Sun is Also a Star, though! The Sun Is Also A Star is one I want to read this year so it’d be AWESOME to see the movie adaption afterwards! YAS! I can’t wait to hear your thoughts on both of them! The Hate U Give is the first one that springs to mind, it’s just about to be released in Australia and looking forward to seeing it soon. Artemis Fowl is supposed to be releasing this year as well, the early trailer’s look amazing! Thank goodness too, it could have ended up a mess like Percy Jackson. I’m still dirty what they did to the franchise and hopefully one day they’ll remake the films. I feel that Percy Jackson Betrayal. I’m not even that big a fan of the series and I know the movies did the books wrong. lol. Mine is definitely The Discovery of Witches! I still need to READ the series, but have heard that it’s really great! OH! I’ve never heard of five feets apart before, looks like a good one! I read Where’d You Go Bernadette, so I would be interested in seeing that one. But honestly – all the movies look interesting! I hadn’t heard of any of these… I am so out of the loop!